How many of you hike, walk, run, and you have your ear buds in? Off in your own world. Maybe the music helps motivate you to push farther. Or maybe, you use the music to drown out the outside world; maybe even drowning out your own thoughts. 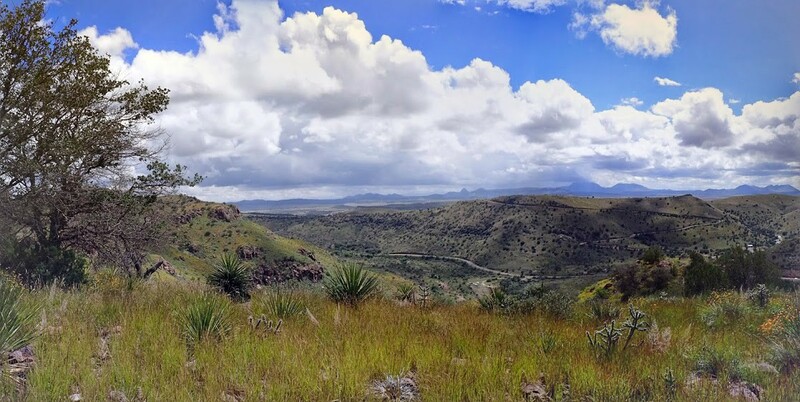 When I started hiking a few weeks ago, the thought of wiring myself into my earbuds raised up into my consciousness. I know when I used to walk/run in my neighborhood, I would do that. Off in my own world; only nodding and slightly acknowledging those around me. But when I took up hiking, I decided to leave the ear buds at home. I decided to leave the music off. I’m glad I did. Leaving the ear buds at home has allowed me the freedom to pay more attention to my surroundings. 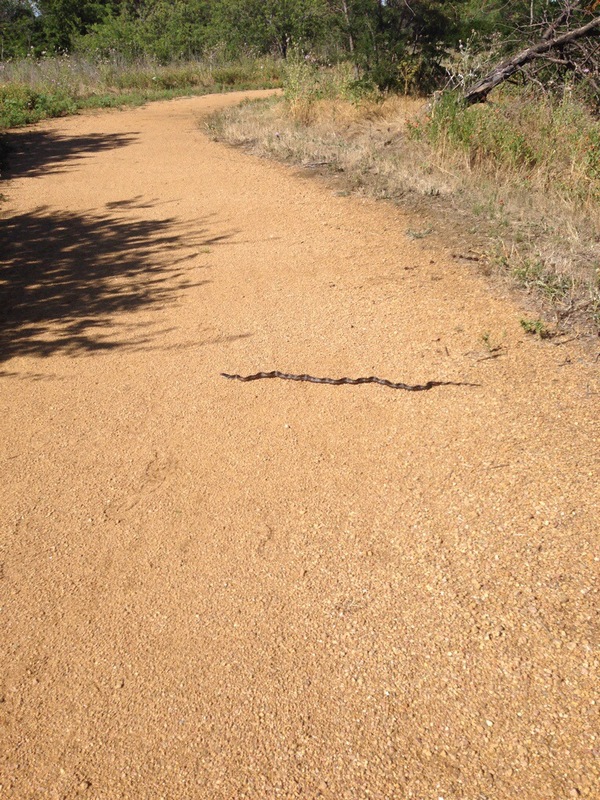 Had I had my ear buds in yesterday, I probably would have completely missed the snake in the middle of the trail, only to see the last 10 inches of him as he slunk back into the weeds. Or, I would have completely missed my first sighting of a Painted Bunting in the wild! More on that later. Maybe we’ve become so overloaded in our day to day lives, that we think drowning out the noise will help. But in drowning out the noise, we drown ourselves and miss opportunities that we might have otherwise had the honor of knowing and experiencing. Yesterday’s hike was a long and hot one. Little over 3 miles. I laugh thinking about the hike. I was at Shoreline Trail, again. I love that this place is close and it’s great for a quick (ha!) 3 miler. If you start at Ridgepointe Park, at mile marker 2.5 there are two White-Winged Doves that apparently live in that area. It never fails that on my hikes through there, there is at least one if not two doves that hang out in the middle of the trail around that sign post. I think they live in the big tree just past that mile marker (heading to Stewart Peninsula). They’re funny birds…never wanting to leave the trail. I’ve even crossed to the far side in hopes of not disturbing them. Just past that mile marker I was making my way to the “blackberry patch”, when I noticed something long laying in the middle of the trail. 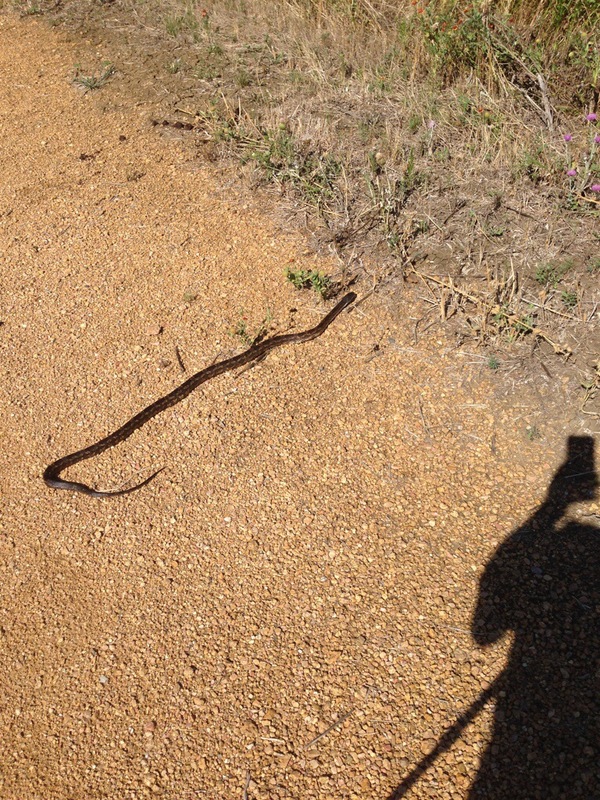 I slowed my pace and realized I had come upon a snake, taking advantage of the late afternoon sun and the warmth of the foot path. Nice thing about getting on the trail around 4:30PM. No one wants to hike/run in that type of heat. Yesterday was particularly fun given we had storms that morning, putting the humidity at a nice 50%. 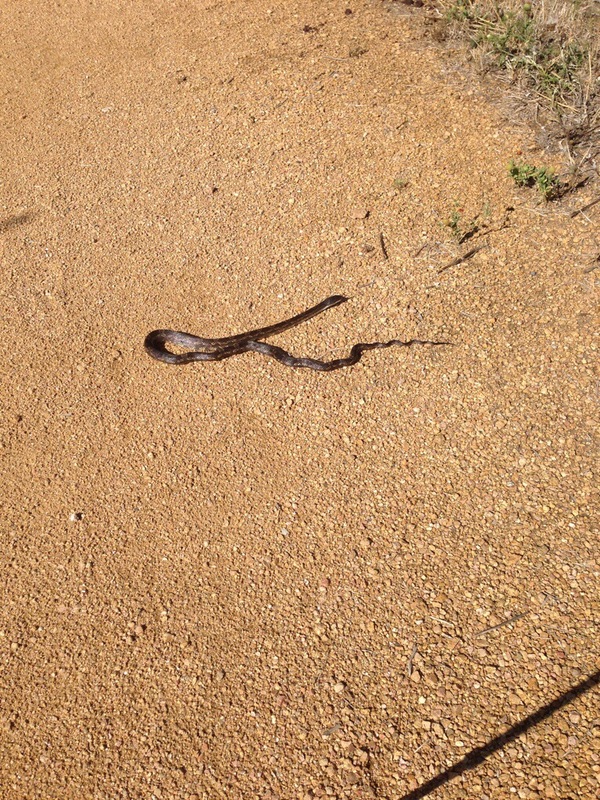 So Mr. Snake was taking advantage of the sun and the solitude of the trail given the hour. I made it to about the 1.5 mile mark of my hike and decided to do the loop just beyond the honeysuckle bushes. I found a spot to finally “stop” since my 1.5 was full throttle till I came upon the snake. After re-hydrating and cooling off in the shade, it was time to head back. Just as I was coming out of the area where the blackberry bushes live, I heard a huge commotion. I stopped to see what the fuss was about. Immediately off to my left, two Black-capped Chickadees were fussing with each other. Maybe it’s their mating season…but they were kicking up some noise. Flitting amongst the trees a third bird appeared. He was about the same size a the Chickadees, but his chest was red. I nearly brushed him off as one of the house finches, but something made me pay closer attention. I kept picking up blue on top…and then a flash of green. Sure enough, I had just seen my first Painted Bunting in the wild! I’ve seen pictures, I’ve heard of folks attracting them to their bird feeders, but never had I actually seen one. What a beautiful bird! He seemed to also be participating in this conversation the Chickadees were having. Then suddenly, a fourth bird appeared! A Ladder-back Woodpecker! I’m not sure what this meeting was about, but all I could do was stand there, listen and take it all in. I probably listened and watched for a good 5 to 10 minutes. Then they started flitting back into the trees away from the trail and I knew it was time for me to move on. The remainder of the hike was uneventful. I’m like a horse heading to the barn when I know the finish is only .5 miles away. I get anxious ready to be done….if nothing else because by this time my feet were screaming at the heat. I really need to setup a page specifically to track my times. Guess that goes onto the TODO list. I sent back a “?”, but at that point, we were pushing off from the gate so the phone had to go into off mode. What was especially odd was the time. I received the text at about 7:55AM; however, the time on the text was closer to 10:58AM. Very surreal….however, I’ll take it as a sign that the world is trying to tell me something.